I have been here in Tucson for over a month and while here I thought it would be a good idea to look around for a small house to buy as an investment and to live in when I visited Tucson for family or medical tests. So in my search I have applied for a mortgage and in the process I have come face to face with American Officialdom . The Mexicans have nothing on Americans for paper work and the mysterious need for documents and copies of copies that seems to go on and on endlessly. Even when the original documents on hand tell the story very well the powers that be want more letters and documents. The latest is that the mortgage underwriter’s want an award letter from Social Security telling them what I am supposed to get every year and an award letter from the Army saying the same thing. HUH? Dear Mortgage Mavins I have been receiving Army retirement pay for over twenty-five years it is on the Income tax forms I sent to you for the past three years. I don’t think the IRS accepts bogus paper work claiming income that doesn’t exist, same for the Social Security. Then there are the houses; to be quite frank most of the houses I have seen so far are bulldozer fodder, they are crap needing serious repair or are beyond economical rehabilitation. Just knock ’em down and start over. Yet the government has these pathetic abodes on their roles and they are trying to shlock these money pits off on an unsuspecting buyer. Needless to say I am frustrated and disappointed by this turn of events. Then again maybe it is all for a reason. 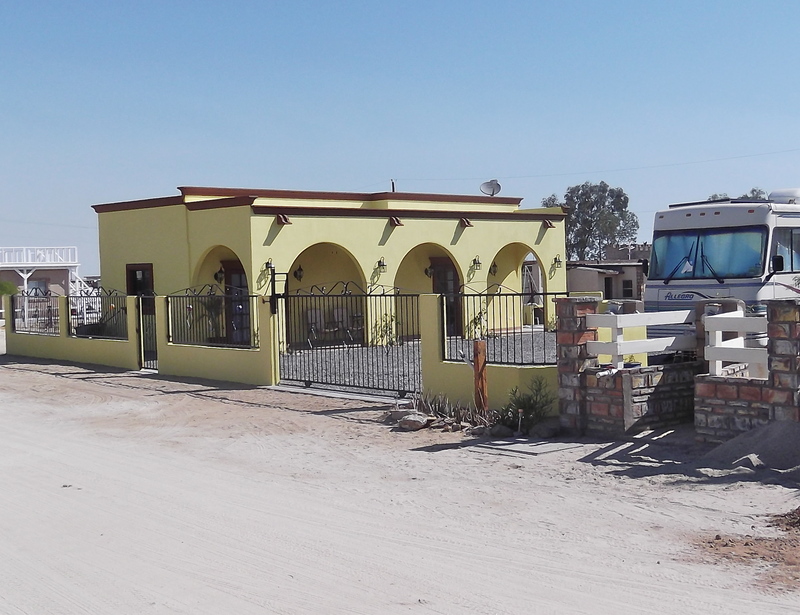 I look at my modest, pretty, paid for home in San Felipe and appreciate it all the more. The prices for almost everything in the U.S. has gone way up! There are some bargains to be had, but one has to know where to look. For me I will always have to shop for clothes and shoes in the U.S. as my size does not exist in Mexico. So my shopping friends are the internet and my mail delivery service. I did find out that my credit rating is excellent, HA! I knew that I don’t owe anybody anything and have paid off every card and loan I ever had on time and to the penny!